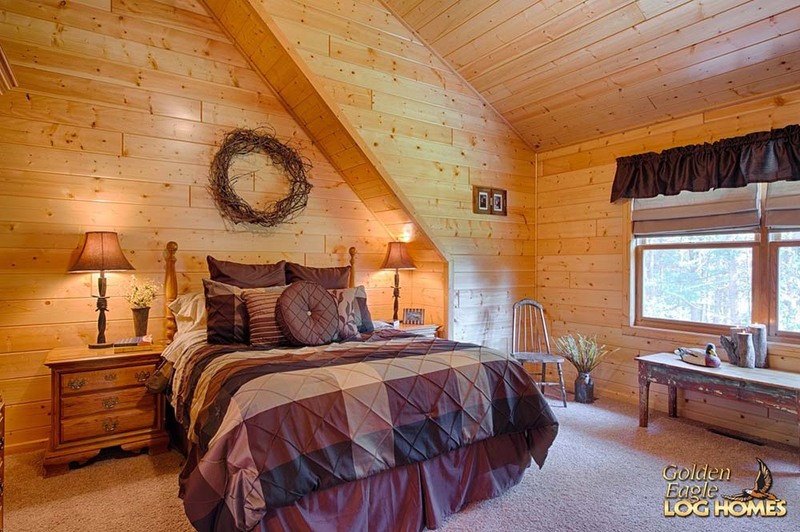 When newlyweds come home from their post-wedding extravaganza, they often immerse themselves in a “long honeymoon.” This is when couples commit to a rather overly affectionate state despite having left the ‘land of romance and relaxation.’ But what better way to commemorate and lengthen your honeymoon stay than by building a home just as quaint, cozy, and romantic as the paradise you left behind? 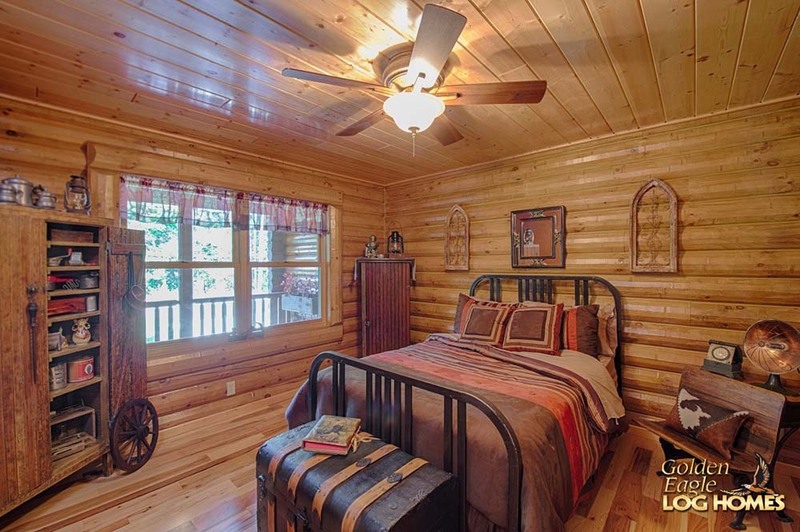 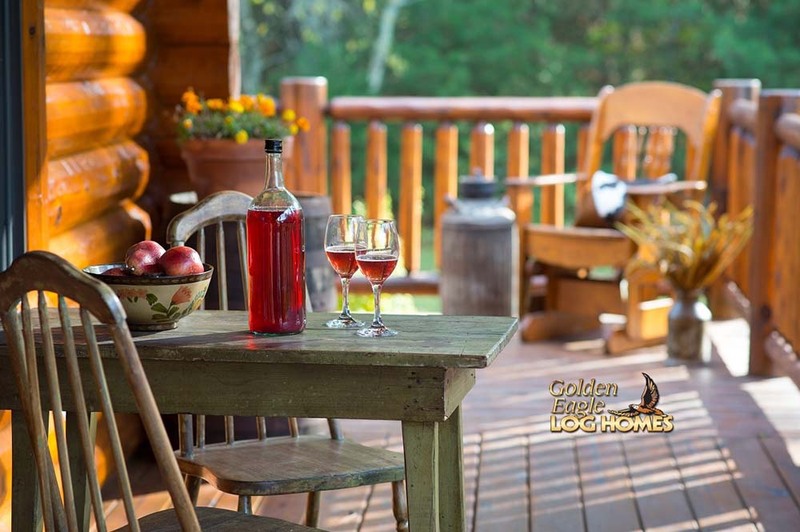 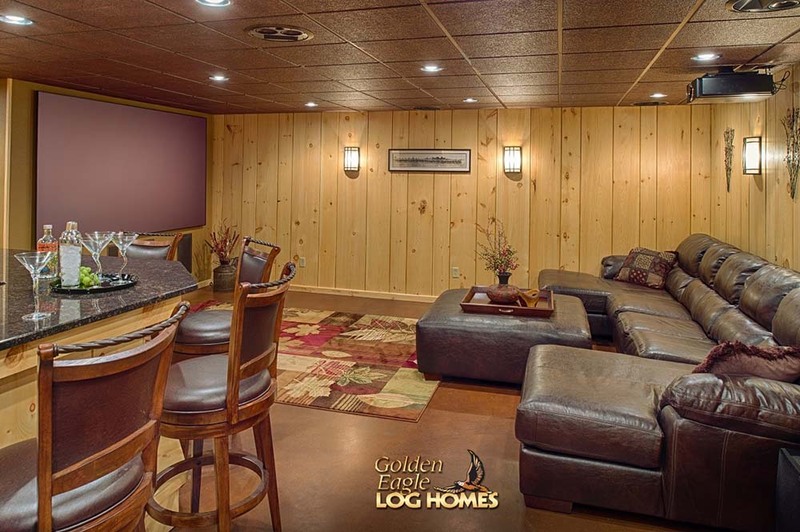 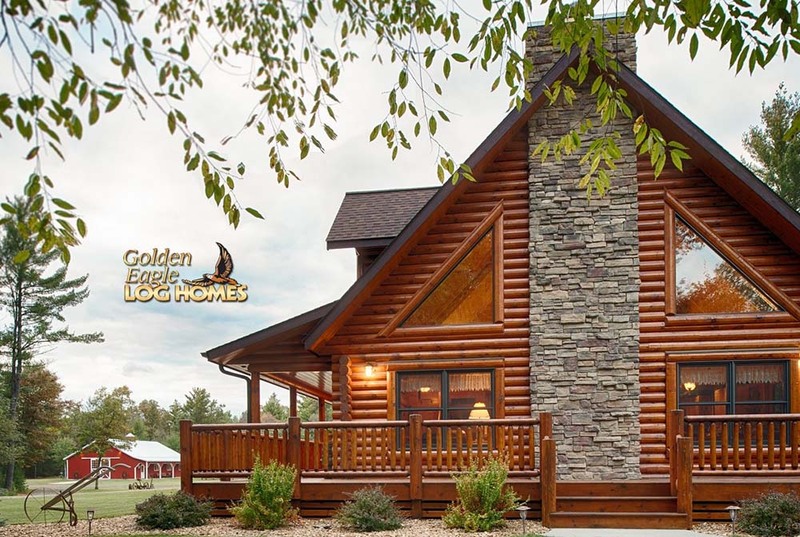 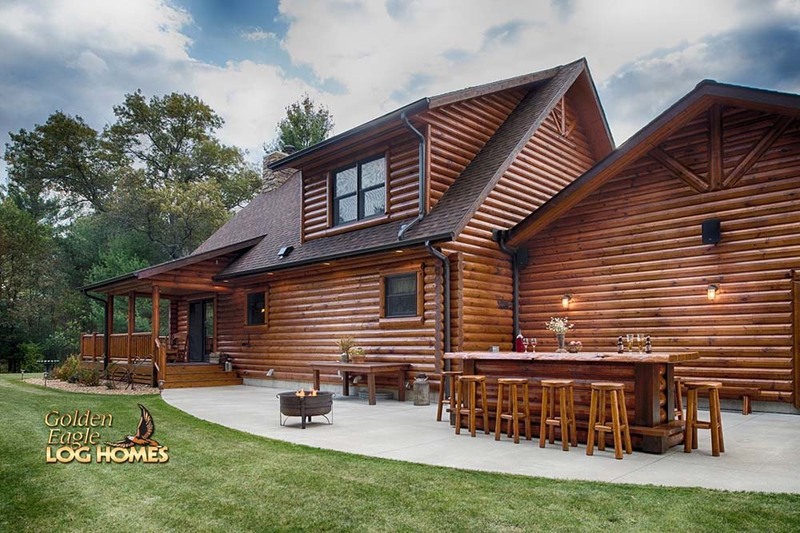 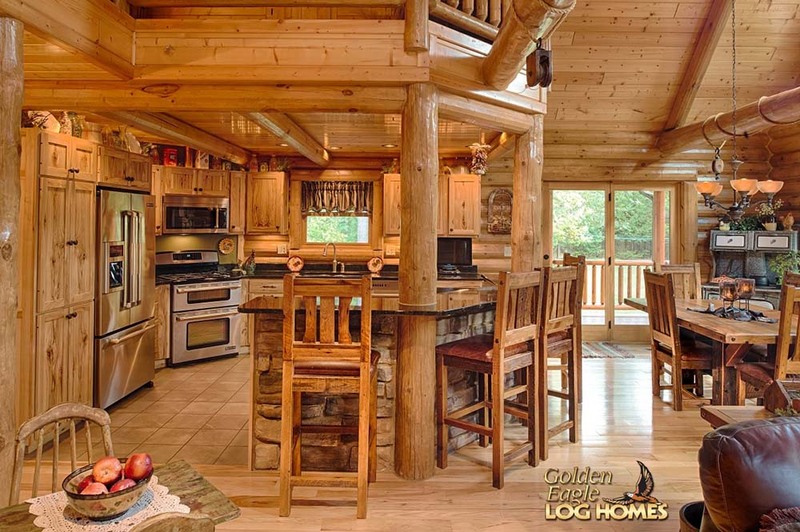 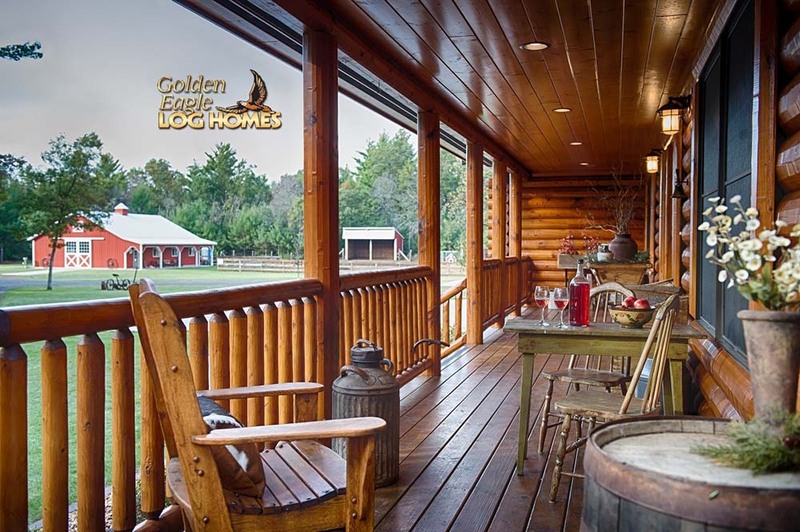 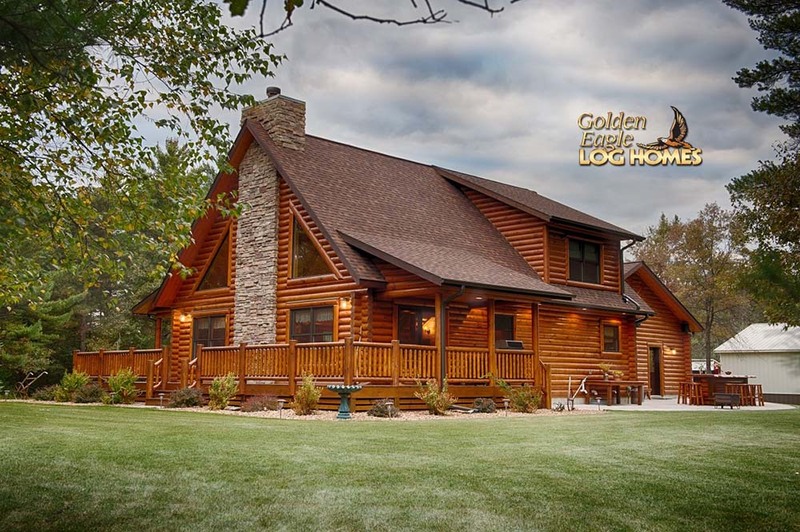 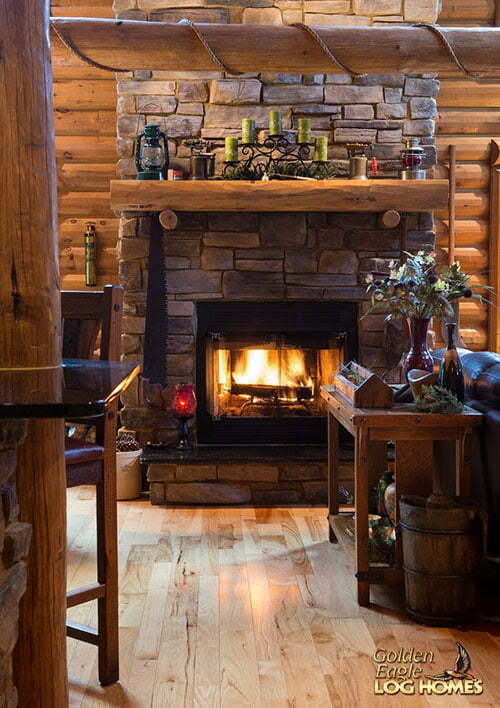 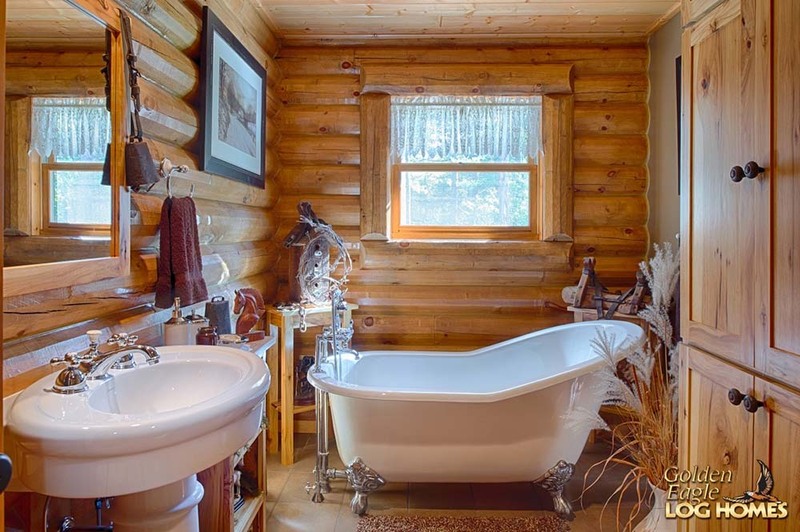 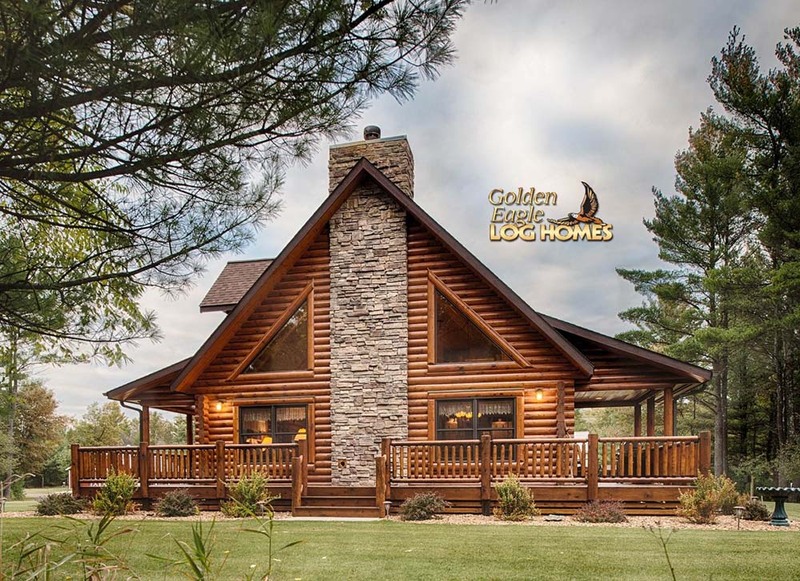 Golden Eagle Log & Timber Homes just came up with a perfect place that serves as a full-functioning home, as well as a getaway for lovers who want to escape the hustle and bustle of the city. 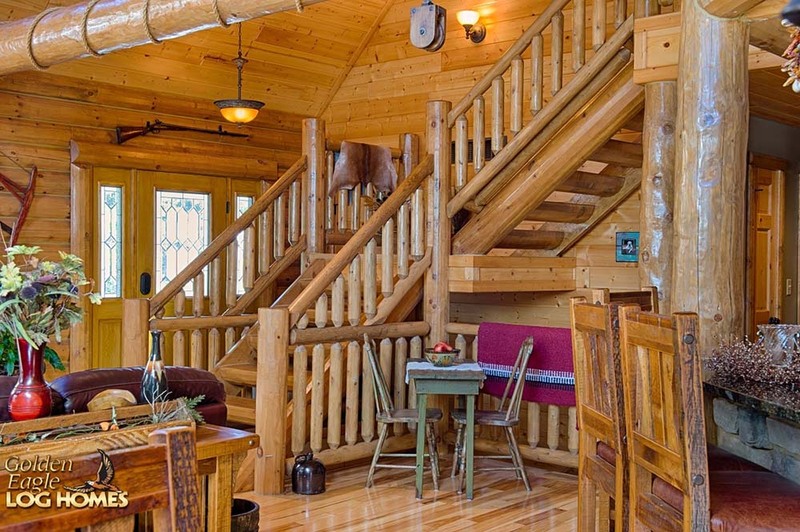 This two-storey cabin promises picturesque mornings when opting to lounge on the wrap-around deck or the covered porch. 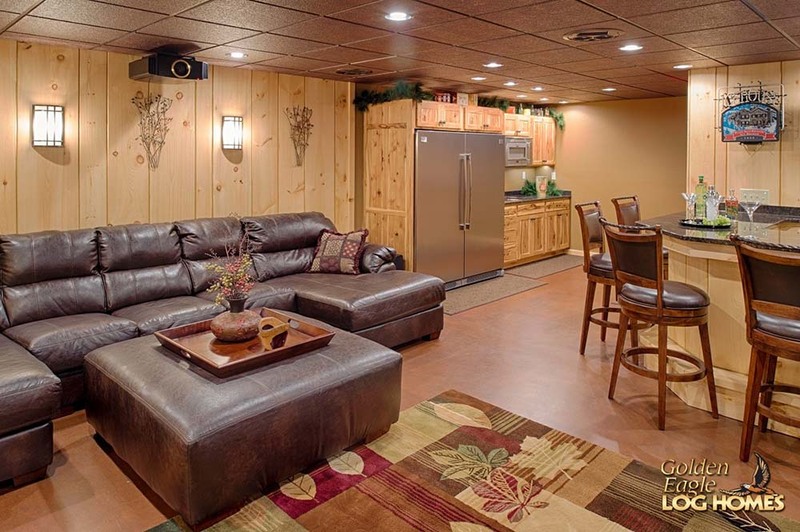 There is a garage for your vehicle, ready to whisk couples to and from this snug home. 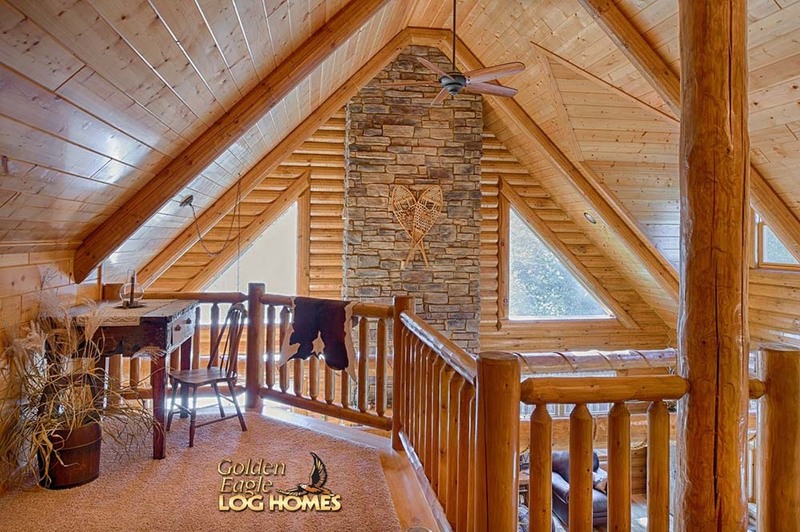 Polished wooden panels complete the fantasy-like ambiance of the home, much like the cabins that we often see plastered on storybooks. 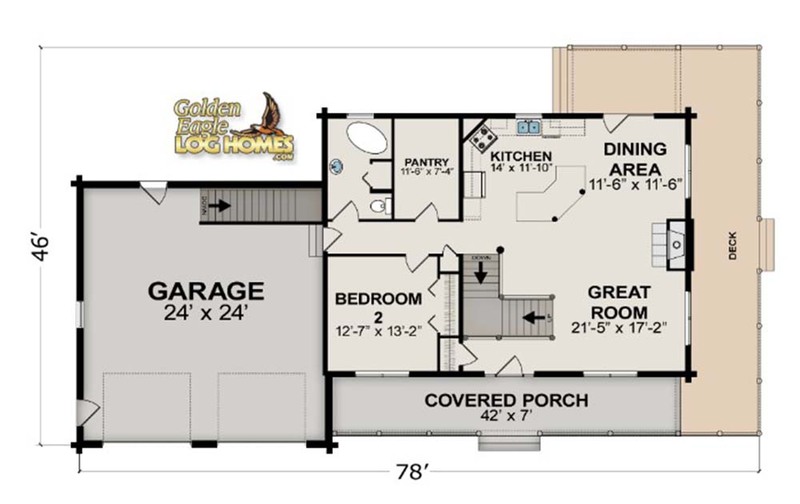 The home offers two bedrooms, perfect for those who like to keep to themselves (with the occasional house guest). 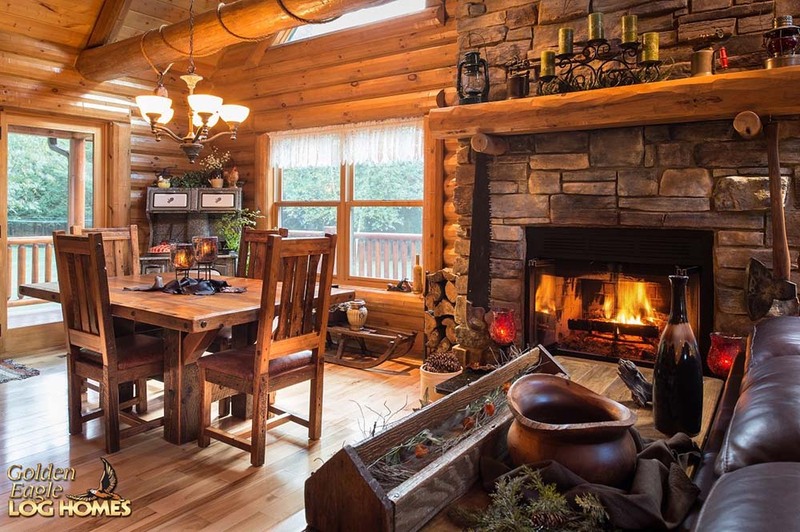 Do not let the cozy pictures fool you! 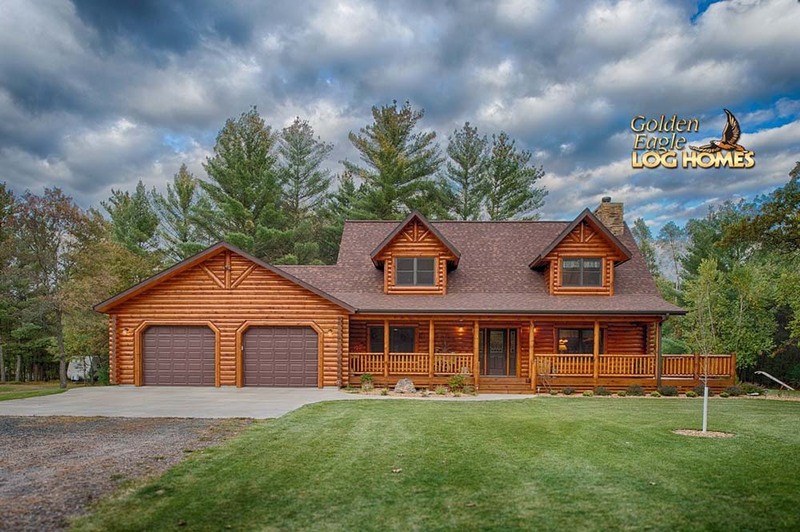 Despite the smaller frame as depicted in the photo, this home has a sizeable loft and main living room as well as two beds and baths. 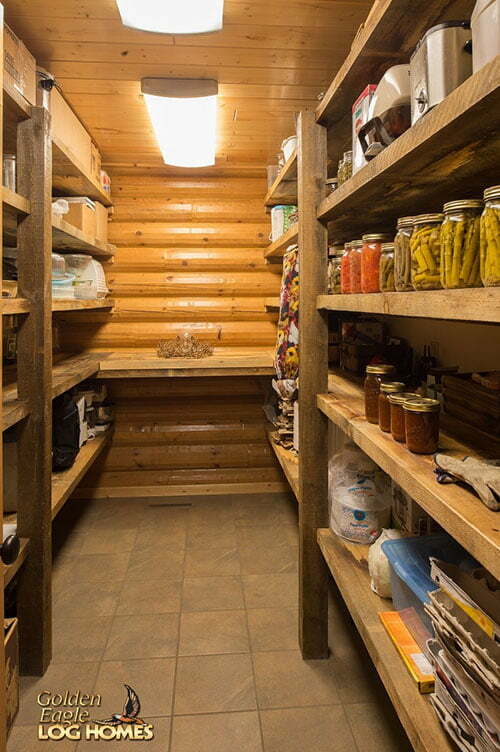 A pantry is also situated to offer the perfect storage for your household needs. 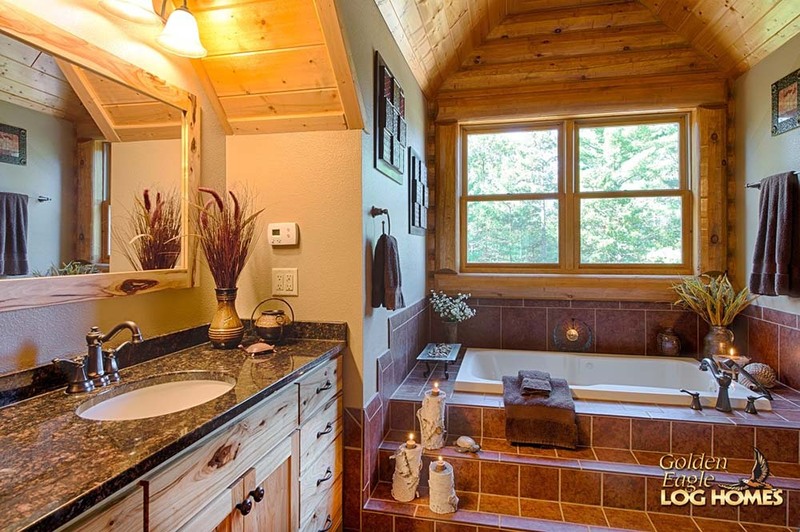 Scarlet-tiled bathrooms offer the best aura for relaxing baths, and a fireplace is situated in the heart of the home for romantic downtimes. 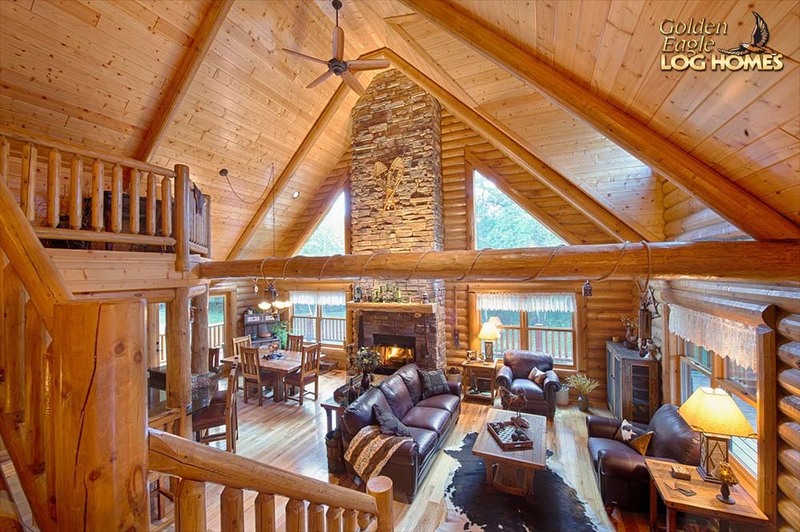 For newlyweds and those family of three, this exquisite timber home is a stunning choice. 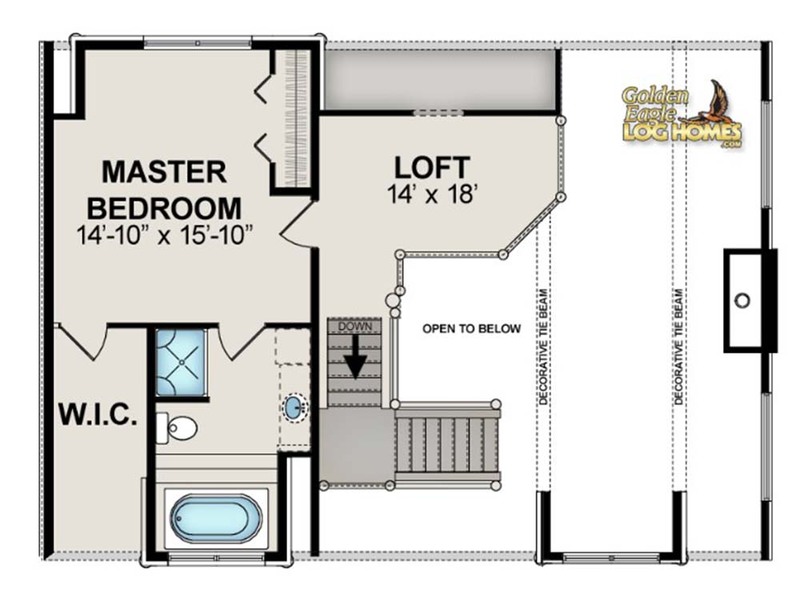 Stats: 46’ X 78’ with optional lower level.